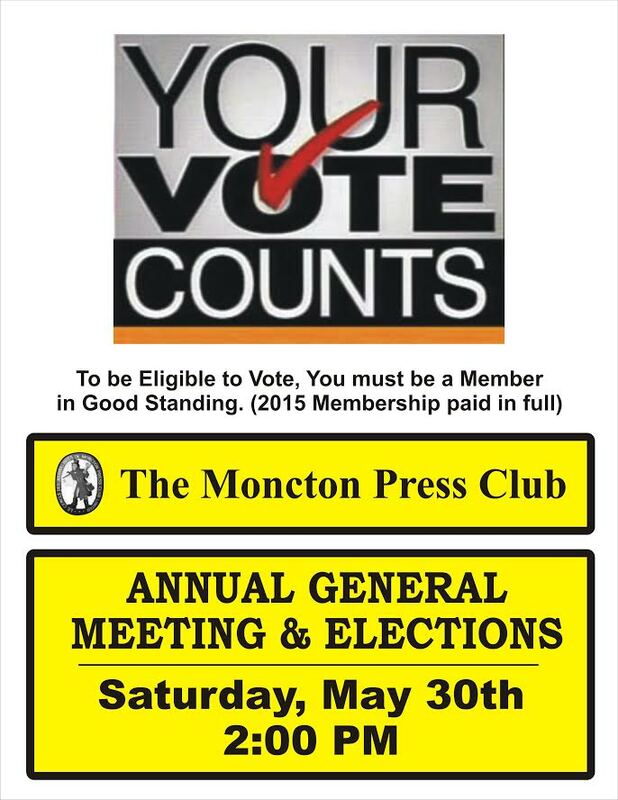 Calling all Members of The Moncton Press Club…Our Annual General Meeting is being held on May 30, 2015 at 2:00 PM. Your participation in this Meeting is vital. 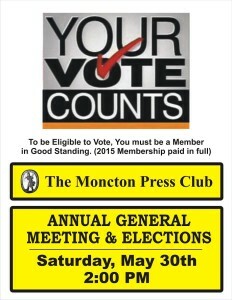 The Moncton Press Club has enjoyed many years of successful activity since 1950. Many of those founding members are either limited in particpation or have passed. We currently have a paid membership of over 300 members. We would like to, we need to attract more members if we are to enjoy further club activities and longevity. This is not the Year of Our Swan Song….this is the Year of Our Turning Tide. Jump on board and ride the tide with us. Let’s make The Moncton Press Club “The Venue” of Moncton for social activity and responsibility.